Malnutrition is a common problem in Zambia, especially for HIV/AIDS patients, as it weakens the immune system, further exacerbating the eff ects of HIV/AIDS. SoHIP facilitates trainings in local communities on the crucial role of good nutrition in the comprehensive care and management of HIV/AIDS, and also educates communities on the importance of getting tested for AIDS, and refers people for testing and other services. Nutrition is crucial in all of our lives, but it is especially important when fighting disease. When people lack proper nutrients, their bodies struggle to function properly. Drinking contaminated water is detrimental to anyone’s health, but is especially devastating for those with compromised or weak immune systems due to HIV/AIDS. People living with HIV have rates of diarrheal diseases up to six times higher than those who are not infected. Drinking clean water allows them to retain more nutrients, allowing Antiretroviral (ARV) drugs to be more effective and can also reduce their risk of opportunistic infections. ARVs can help people live better and longer lives and are most effective when taken with adequate, nutritious food and at least 1.5 liters of clean water. HIV+ mothers who choose to not breastfeed need safe water to make formula. Water is needed for bathing patients and washing soiled clothing and linen. Safe drinking water is necessary for taking medicines, while nearby latrines make life more tolerable for weak patients. Finally, water is needed to keep the house environment and latrine clean in order to reduce the risk of opportunistic infections. Water and sanitation provision increases the sense of dignity of both patients and caregivers. 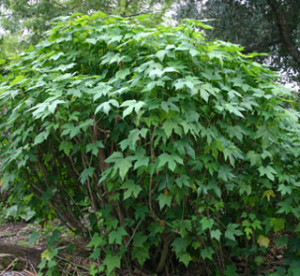 Chaya is a large, fast-growing, leafy perennial shrub with succulent stems, which release a milky sap when cut. The leafy vegetable is similar to spinach, but must be cooked before being eaten, as the raw leaves are toxic. Chaya is easy to grow, suffers little insect damage, and has been easy to promote in Zambia because it looks like cassava, a traditional African food, and is prepared they same way, but it’s more nutritious. Additionally, chaya is non-invasive, making it easy to propagate, and can grow thick enough to be used as a hedge. Chaya is a good source of protein, vitamins, calcium, and iron. It is also high in antioxidants. 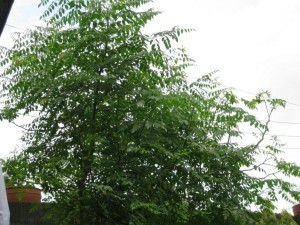 Moringa trees, also known as “Miracle Trees,” grow in subtropical areas where malnutrition is most prevalent, and can grow to 8 feet in 3 months. Moringa leaves, pods, and roots are used as a nutritional supplement in food and drinks. High in iron and vitamin A, and one of the only plants in the world that has a complete protein in and of itself, the Moringa tree is one of the richest sources of nutrients in the world. SoHIP is educating Zambians about the Moringa tree and its health benefits. SoHIP is training Zambians to grow and harvest the highly nutritious amaranth leaves and stock for consumption. 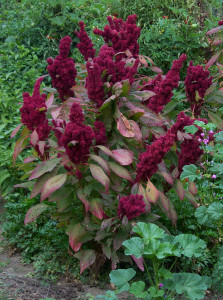 Amaranth is cultivated for both its seeds, which are used as a grain, and leaves, which are used as a vegetable or green. Both contain a very high quality protein. Amaranth produces about 40,000–60,000 seeds that are more nutrient rich than quinoa and chia, and only takes 45–60 days to mature, which is about 1/3 of the time of normal cash crops. The grain is milled for flour or can be popped like popcorn. The leaves of both the vegetable and grain types may be eaten raw or cooked. Amaranth is high in vitamin C, iron, betacarotene, calcium, folic acid, and protein. Malaria is a common, but deadly tropical disease transmitted through the bites of infected mosquitoes. 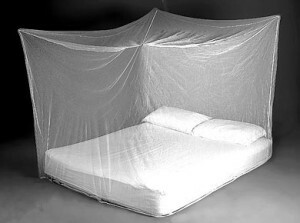 Bed nets are simple, life-saving devices that work by creating a protective barrier against malaria-carrying mosquitoes that bite at night, and can reduce malaria transmissions by 90% in areas with high coverage rates. Zambians suspend the nets over their beds to prevent mosquitoes from biting them during sleep. This simple intervention results in thousands of lives saved each year. 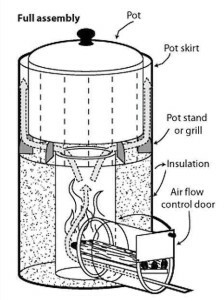 The Rocket Stove is a variety of wood-burning stove that can be easily constructed with low-cost materials. They are designed to efficiently burn small pieces of wood, and produce less smoke and fewer pollutants. Rocket Stoves are easy to construct out of various materials and allows air to come into the same inlet in which the wood is placed and has a taller chimney to force the flame to begin. You can sometimes hear the air rumbling, like a rocket (hence the name of the stove). It’s very good at thoroughly burning the wood and placing the energy right at the food. The advanced design combustion chambers in institutional cook-stoves are built from stainless steel surrounded by lightweight insulation and are engineered to capture over half the energy generated by the fire. Am very much interested in development programmes and helping people in need.how best can I help with on the health part.I have studied public health and counselling. yours response in my request ll be appreciated.